It’s up to us to do our part to phase out gasoline use. For each person who stops driving a gasoline vehicle, we all benefit from cleaner air, a better climate and more energy independence. There are many excellent alternatives to using gasoline, and more become available each day. Everyone can do something, starting today, to make progress towards the goal of a gasoline-free America. The cleanest way to go gasoline-free is not to own a car at all. Depending on where you live and your mobility needs, you may be better off not owning a car. The savings on car payments, finance charges, maintenance, taxes, fees, tires, insurance, depreciation, fuel, parking and tolls might make it worth your while to switch to walking, cycling, scootering, skateboarding, e-biking, and using (ideally clean electric) public transit and ridesharing services such as Uber and Lyft. If you must drive, go electric. The switch to an electric vehicle (EV) is easier than most people think. Already there are makes and models of EVs (including SUVs and trucks!) to fit every budget, and more models are coming out every year. As technology rapidly improves, many people opt for the amazing lease deals currently offered — some as low as $5/day. More used EVs are coming on the market, too. With current EV batteries anticipated to last 500,000 miles, a used EV can be a great value choice. Additionally, very generous incentives are available to make EVs especially affordable for low-income Californians. How will you fuel your EV? Unlike gasoline cars, which can only be fueled at gas stations, EVs can be fueled wherever there’s electricity. 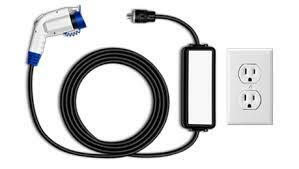 All EVs come with a charger that plugs into a regular household 110-volt outlet. If you have access to an electrical outlet, you can add 40 to 60 miles of charge to your car every night while you sleep. For most commutes, that’s more than enough. What if you live in an apartment? Remember, unlike with gasoline cars, you can fuel your EV wherever there’s electricity. If your workplace has access to a regular outlet (Level 1 charging), you can add about 25 to 40 miles of charge while parked at work during an 8-hour workday. Many workplaces now offer Level 2 charging. This level adds about 25 miles per hour of charge, so you might only need to plug in one or two days a week. You can also install a Level 2 charger at your home. What if you don’t have access to EV charging at home or at work? You may be able to fuel while you shop. Almost everyone goes to the supermarket at least once a week. 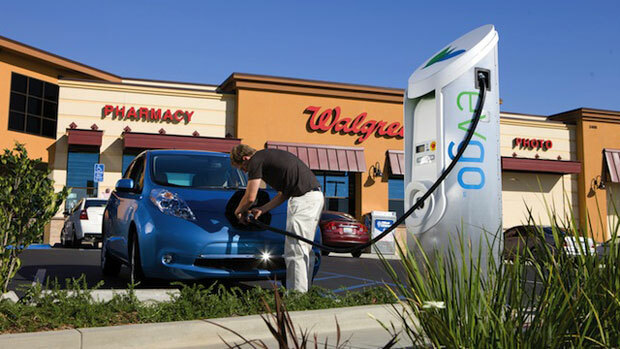 Level 2 EV chargers are springing up in the parking lots of shopping centers and grocery stores. For every hour you shop, you add 25 miles of range. How can you find public chargers? 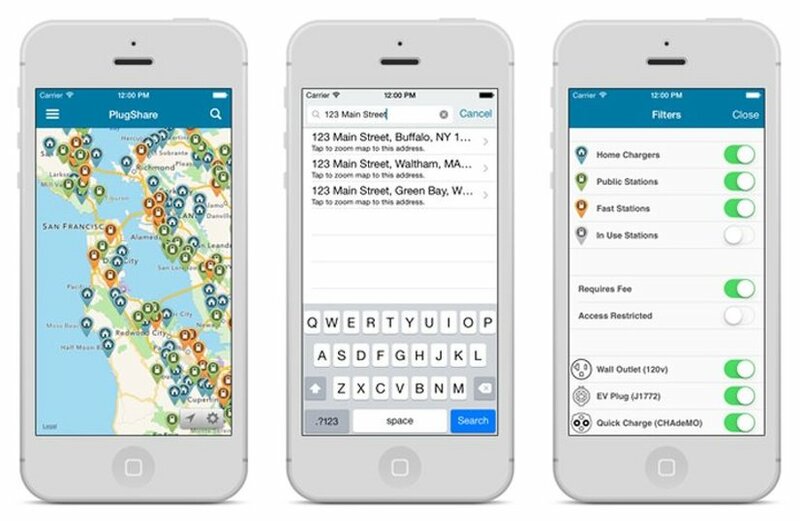 Plugshare is the most popular app and website for finding public charging stations where you are or where you’re going. What if you want to take a road trip? Around the country, Level 3 chargers, also known as DC Fast Chargers, or DCFC, are popping up to serve the needs of road trippers. Currently these chargers will give your EV an 80% charge in about 30 minutes. For instance, from Monterey to Lake Tahoe, there are 55 DC Fast Chargers at 25 locations. NOTE: Technology is advancing rapidly, and already faster chargers are coming out that will add 20 miles per minute of charge. In sum, there are many ways to fuel an electric car, and some combination will likely work for you. ● Write down how many miles you drive on a normal day, and use that to determine how many miles of range you will need to feel comfortable driving an EV. ● Consider how many long road trips you take each year. For each, can you afford to stop for 30 minutes every 200 miles or so to recharge? If not, consider the option of switching to an EV for the majority of your driving, and renting a plug-in hybrid or gasoline car for the few times you need it. ● Start following Facebook owner group pages of the makes and models you’re considering, such as the Chevy Bolt EV Owners Group. ● Rent, borrow or test drive several electric vehicles this month, to get a feel for how they drive and what might be right for you. ● Commit that your current vehicle will be your last gasoline vehicle. If you do get an electric car, send a photo of you and the car to info@coltura.org, and we’ll celebrate by posting it on our website! Take the next step towards going gas free! Join our email list for news and inspiration about the gasoline free movement. You can check out our latest newsletter here. Thank you for joining the no-gasoline movement. Coltura is a registered 501(c)(3) nonprofit with the Tax ID: 47-2276541. Thank you for joining Coltura! Together we can speed up the transition from polluting gasoline-powered vehicles to clean alternatives. Ready to do more? Sign the petition or get involved with local efforts at our Take Action page, or support our work with a donation. And please keep in touch. Your ideas and input are very important. Thanks again — let’s do this! For Health. For Climate. For Progress. Coltura is a registered 501(c)(3) nonprofit with the Tax ID: 47-2276541.